One of the culinary “rages” a few years ago was micro-greens, and now it seems to be baby vegetables. Do you know what a baby vegetable is? It’s not a very precise term in culinary lingo. If you’re interested in the culinary history of baby vegetables, take a look at “Eating Babies: A Study of Youth Horticulture” from Slate Magazine. We seem to have gone through a phase of the only-good-veggies-or-fruits-are-huge-ones. So we’ve selected for the “big” produce. (Think about storage onions, for example–how I would love to be able to buy small onions!) So now we’ve made small veggies (or fruits) a “gourmet” item–and created confusion with terms. We really should not think of baby vegetables in the same way that we think of ourselves or even as we think of cows, or chickens, or hogs, as babies, adults, or the like. There have been so-called “baby carrots” in the supermarket for a long time–but those are NOT really “baby”–they are full-grown, mature (adult?) carrots that have been reshaped by some entrepreneur who had a surplus of gnarly, misshapen carrots that could not be sold any other way. Now, these “baby-cut” carrots are made from carrots bred for increased sugar, rather than the misfits. 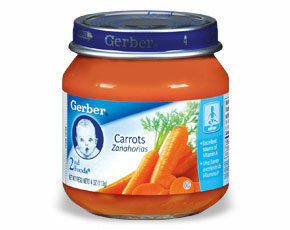 So those still should be called “baby-cut carrots”, not baby carrots. Then consider cherry and grape tomatoes–are those “baby” vegetables? Well, yes–they are smaller versions of Solanum lycopersicum. Some are big like the Big Boy, or the Cherokee Purple. Others are smaller, or miniatures, like the Sungold, Sweet 100, or currant tomatoes, but we don’t call them baby tomatoes–but we could by the common usage of the term “baby” vegetable. So is a baby vegetable just something that has been picked while still young and small? In many cases, that answer to that is a resounding no! Just like haricots verts are not pole beans or Kentucky Wonder beans picked immature or tiny–they are a different strain or cultivar of Phaseolus vulgaris. The term dwarf usually applies to plants–which may be small, but may grow full-sized fruits. To further complicate matters, plants respond to their environment, so some fruits and vegetables will be “dwarfed”–or grow smaller, if plant too thickly, or closer together–e.g. cabbage. Some smaller heads are simply standard cabbage that is planted close together–e.g. 8 inches instead of 18 inches in the garden. Obviously I feel that the “baby” vegetable is a misnomer–that should be the puréed stuff that Gerber puts out to be fed to small, immature humans, and we should use miniature to refer to small veggies and fruits! Appreciate you visiting and your comments!